The Romanian Deadlift with Golf Club Exercise is a variation on a classic movement that will strengthen and lengthen your hamstrings. The Romanian Deadlift with Golf Club Exercise forms part of the Golf Strength and Endurance series of innovative and dynamic exercises that are designed to efficiently increase your stabilising strength – supporting proper body alignment, movement patterns, and energy transfer within the golf swing, and helping to prevent injuries. Figure 1. Romanian Deadlift with Golf Club Exercise Video. 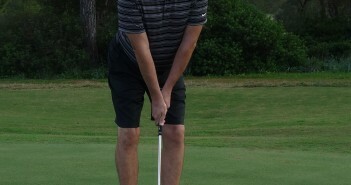 Start by standing with your feet hip width apart and your knees slightly bent, holding a golf club along your spine, from the back of your head to your lower back. Shift your hips back and hinge at the hips while keeping your back flat and the golf club in contact with your head and back. Return to a standing position by contracting your hamstrings and glutes. Keep your shoulder blades back and down, your abdominal muscles engaged and your back flat throughout. You should feel it working your glutes, hamstrings and back. 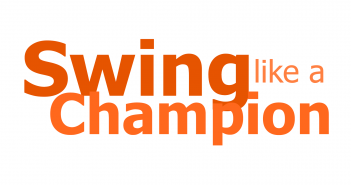 There are a number of interesting variations on the Romanian Deadlift (RDL) in the Golf Loopy Train like a Champion System that offer a variety of challenges, you can see them all by clicking here.